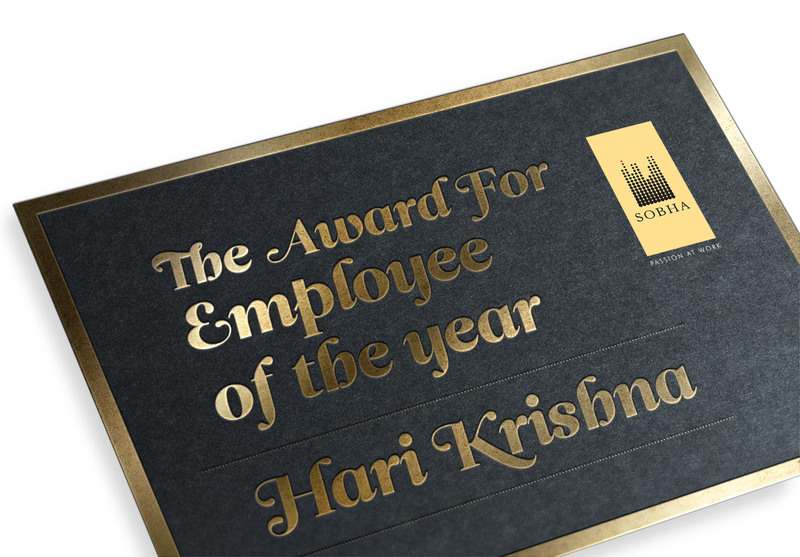 To design an uber premium certificate, award card and envelope for Sobha’s internal annual awards ceremony. We went with a royal black card & envelope with the award category and the winner’s name gold foiled on the card. 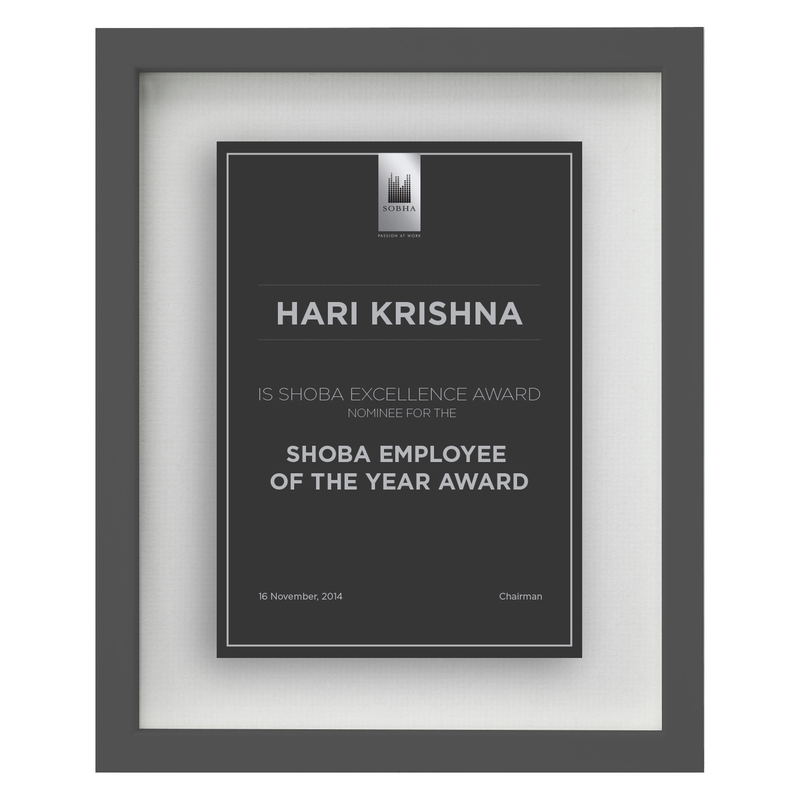 The certificate was kept very minimal and clean which gave it a rich & contemporary look to it.